This 3/4 Carat Tanzanite with 1/2 Carat Diamond Band in 14K White Gold pairs a trend-defying style with a gemstone that's anything but ordinary, and accents it with abundant colorless sparkle. 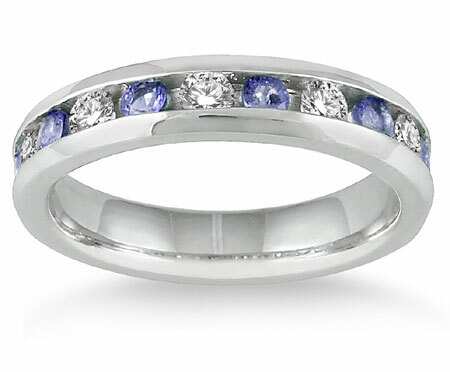 Small round tanzanite stones are channel set into this always sophisticated ring, providing it with numerous bursts of intriguing purplish blue sparkle. Calling to mind the color of the petals of a cornflower, this gem has a look that's unlike that of any other gem. 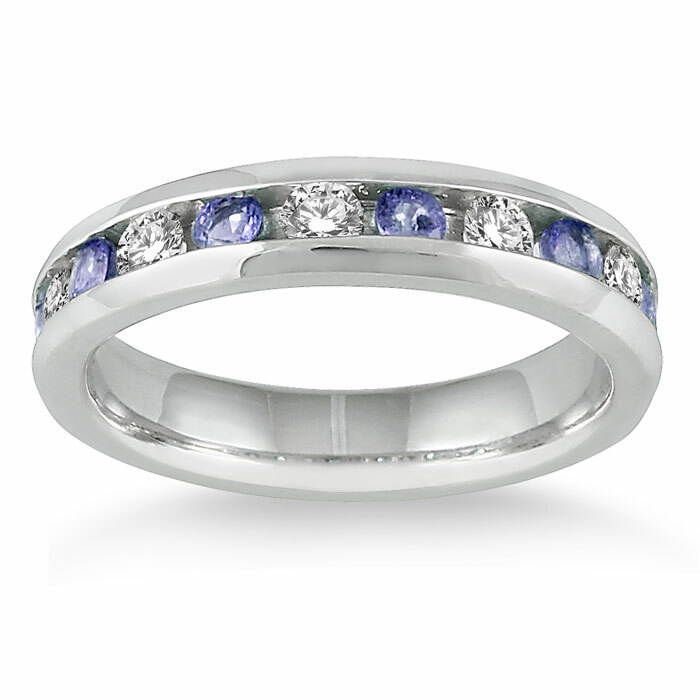 Nestled in-between these tanzanite stones are round diamonds that give this ring timeless sparkle and that offset the unique color of their partners in gorgeous fashion. Framed by cool, shining 14K white gold, these gems work together to form a ring that's always in excellent taste. 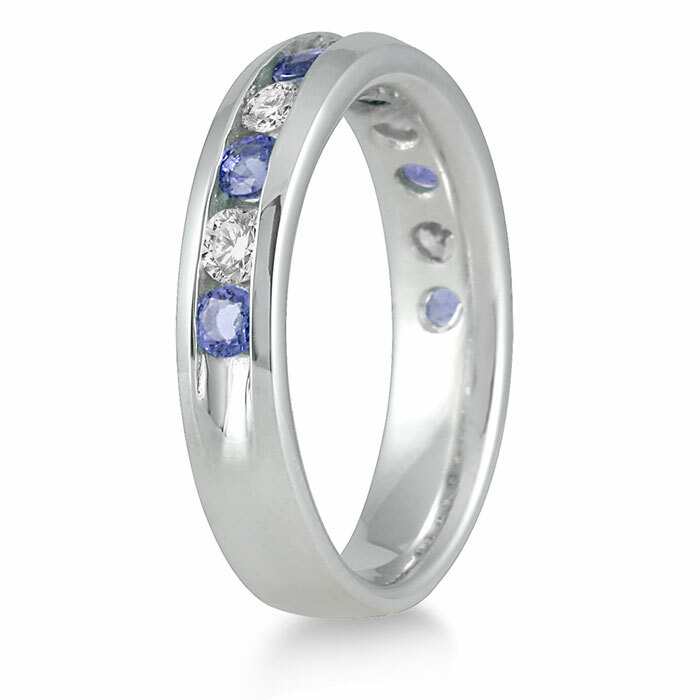 This tanzanite and diamond ring's sleek, streamlined style renders it an ideal piece to wear in tandem with other rings. Stack it with a similar ring that features a contrasting gemstone or pair it with a plain band of white gold for a look that's chic and contemporary. In addition, this streamlined ring would make a lovely gift to commemorate an anniversary. The standout color of this twist on an eternity band makes this the perfect piece for celebrating a love that's a rare blessing. We guarantee our 3/4 Carat Tanzanite with 1/2 Carat Diamond Band, 14K White Gold to be high quality, authentic jewelry, as described above.